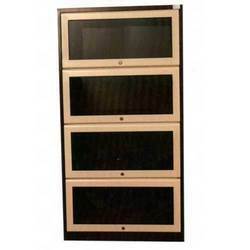 Prominent & Leading Manufacturer from New Delhi, we offer wooden bookcase, steel book case, book case and steel bookcase almirah. Successfully flourishing on market credibility and product excellence, we have become a renowned manufacturer, distributor and supplier of superb quality Wooden Bookcase to the clients. 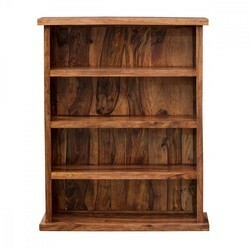 These book shelves offer an ideal storage solution for books, files or any other stationery items. In order to meet the international quality norms, these Wooden Bookcase are designed keeping in mind newest designs prevailing in the market. It is highly appreciated by our customers for its durability and trendy design. In order to satisfy the diverse preferences of customers, we are offering superior quality Steel Book Case. 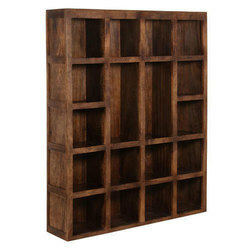 The offered book case is acknowledged by our clients for its attractive design and high storage capacity. Our provided book case is manufactured under the supervision of adroit workforce making use of premium grade steel in synchronization with set industry standards and norms. This book case is used in library, colleges, schools and offices to keep books in systematic manner. Our organization specializes in providing a qualitative range of Book Case to our clients as per their requirement. These are provided in different sizes and patterns to meet the individual requirement of our clients. These two/three tier storage racks are stringently checked on the various parameters and meet industry standards.